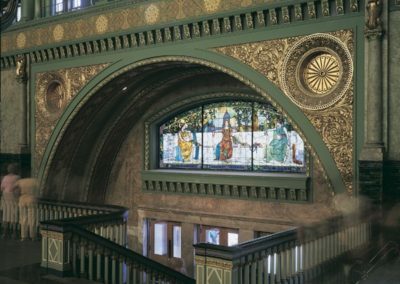 Restore the decorative scheme for what was once the world’s largest railroad terminal. 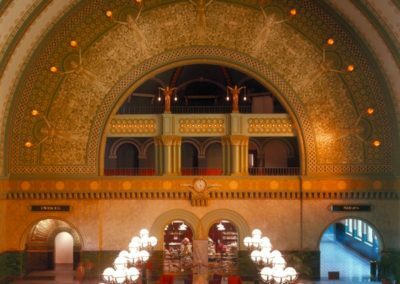 After nearly 100 years in operation, St. Louis Union Station, St. Louis, Missouri closed in the late 1970s. 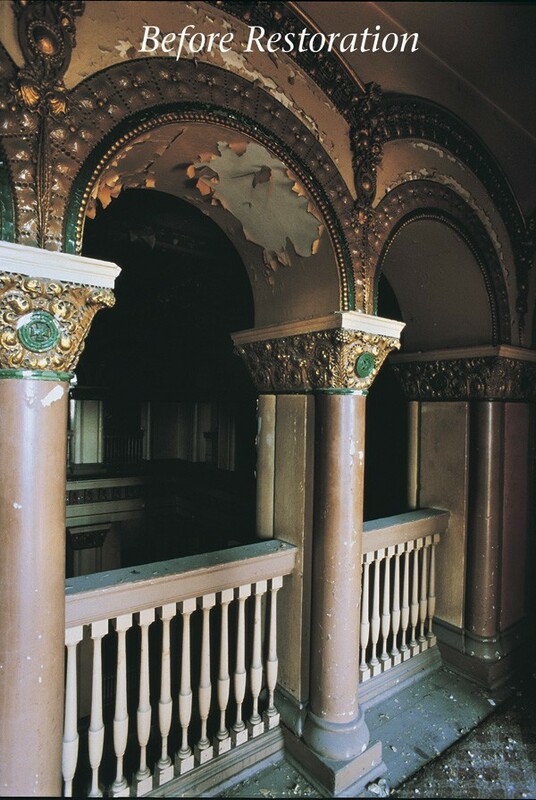 Vacancy and neglect had reduced the station to a state of severe dilapidation. 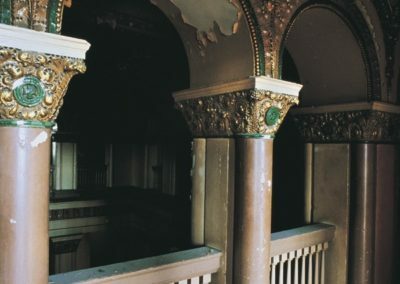 In the once proud Grand Hall, Conrad Schmitt Studios’ conservators uncovered original paint schemes and used these, in addition to newspaper descriptions from the station’s opening, to re-create the Hall’s original color scheme. 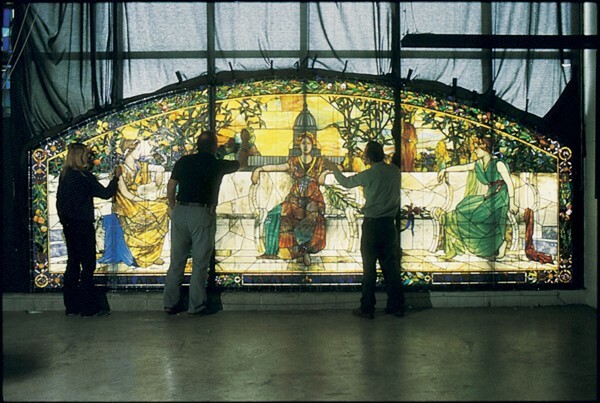 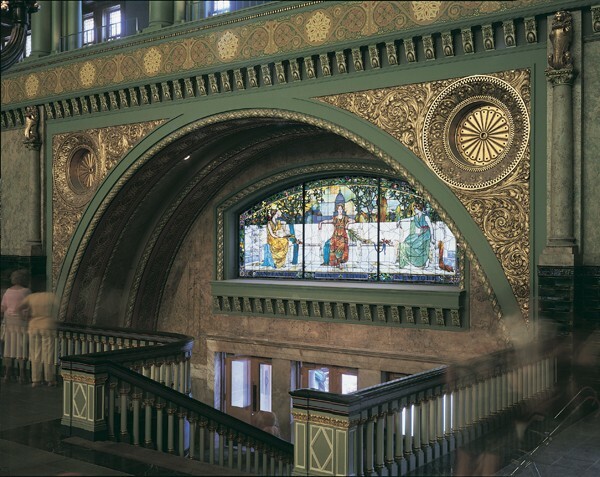 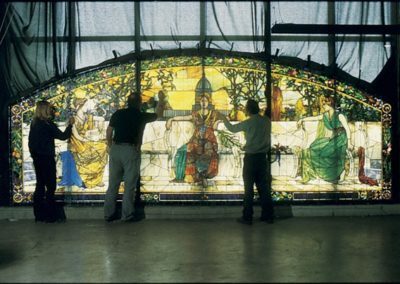 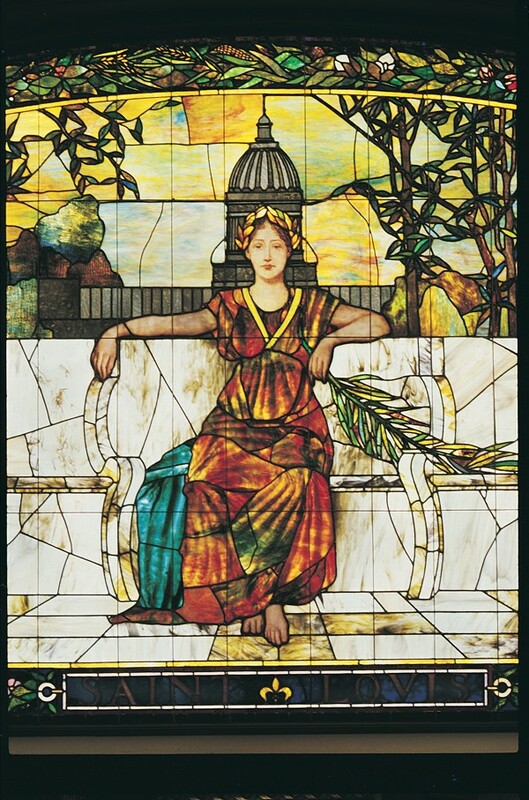 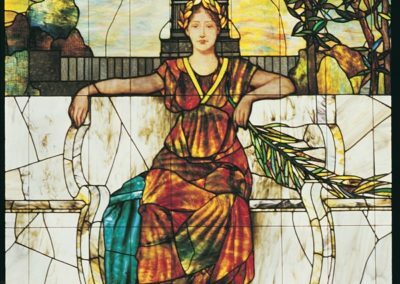 CSS also conserved the large Tiffany style stained glass window over the grand staircase. 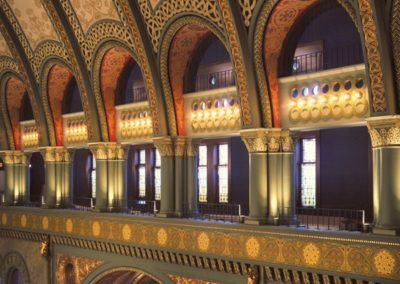 Federal historic rehabilitation tax credits were used to transform Union Station into one of the city’s most visited attractions. 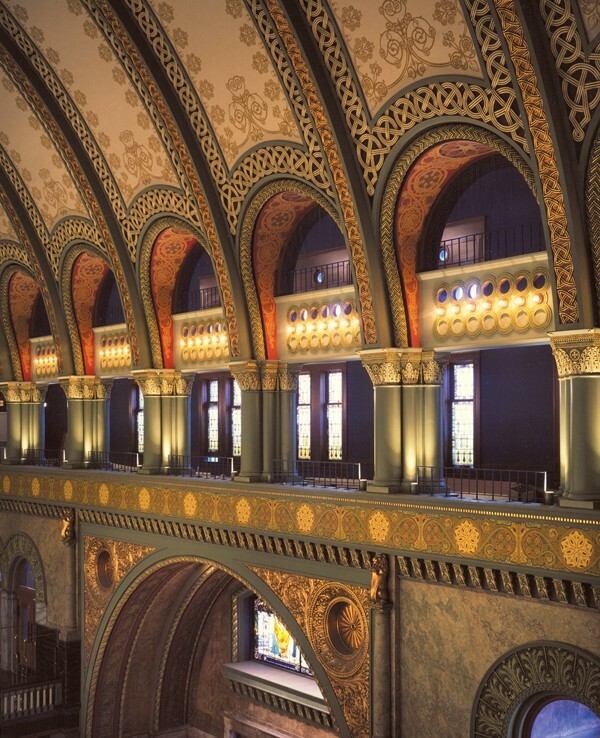 The station rehabilitation remains one of the largest adaptive re-use projects in the United States. 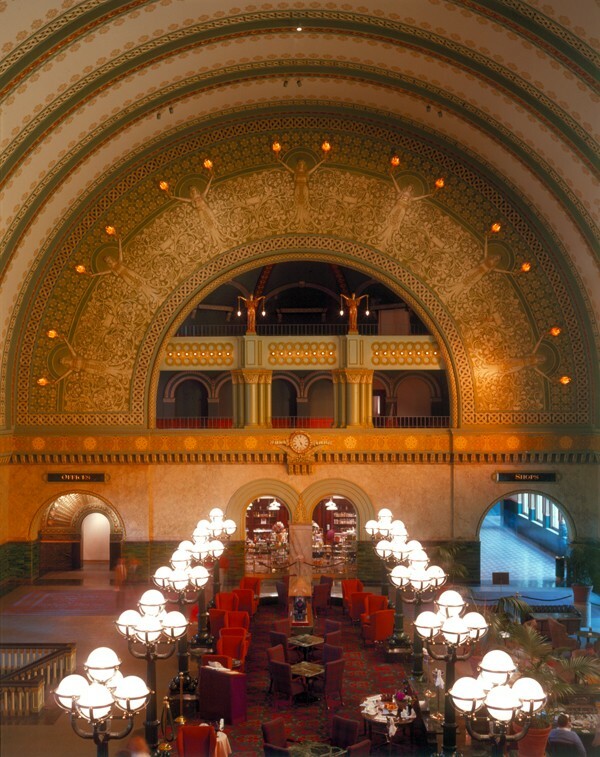 Today, Union Station is a bustling center of shops, restaurants, and a 550-room hotel.